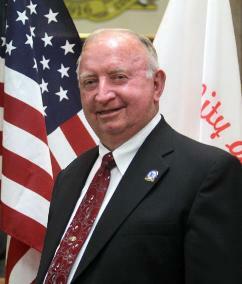 Mr. Blocker is a retired professional and business man, and is a lifelong resident of Okaloosa County. He has been a property owner and resident of the City of Crestview for more than fifty years. His chosen vocation is in the commercial construction industry and has been engaged in this vocation for more than sixty years. In doing so, he has gained a vast knowledge of how businesses and organizations should function in working with a multitude of City, County, State and Federal Officials. Mr. Blocker has accrued over fifty years of management experience, and it is through this knowledge that he has developed a unique concept in business. He has successfully participated in a vast number of seminars of leadership and management, in all levels of government, from Cities to Federal Government operations. It is from this multifaceted wealth of experience and education that he will draw from as he serves the people of Crestview. Many years past, he developed this goal to live by- simply that “No matter what type of issue that might come before him, before rendering a decision, he always does his homework and acts in the best interest of the people he is responsible to”. For the past fifty years or so, Mr. Blocker has been a willing servant in the work of his beloved churches where he and his family were associated. Currently, Mr. Blocker and his wife are serving at Woodlawn Baptist Church in Crestview. There he donates his time and service as an adult Sunday School Teacher, active Deacon, and as a member of the Property and Grounds Committee. Mr. Blocker has been a member of Gideons International (A Christian and Professional Men’s Association) for approximately 30 years. It was the enthusiastic support and encouragement of his family, consisting of his wife, Jackie, two children and three step-children, along with many friends, that convinced him to seek this position on the City Council. Mr. Blocker knows and understands the importance of the trust and confidence that the public has placed upon him to effectively serve in the position he now holds. His responsibility for service to the citizens of Crestview; which lies before him, is a civic duty that he does not take lightly.